For a great sounding and visually elegant and understated guitar, this is one of the best choices on the market. 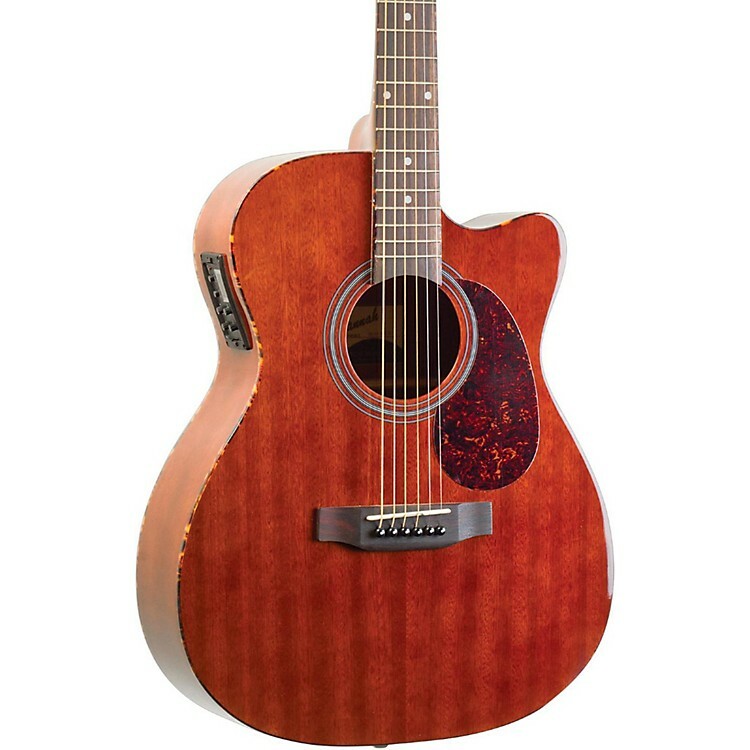 The Savannah SGO-16CE OOO Acoustic Guitar features warm-sounding mahogany for the top, back, sides and neck. Playability is easy on the fingers thanks to a comfortable thin C profile and bound rosewood fretboard. This model looks great too with its natural gloss finish and tortoise shell pickguard. It comes ready to plug in with 3-Band EQ & LCD Tuner Including Phase Control. Case sold separately. Grab this affordable model for yourself or someone special. Order today.